Less. Never more beautiful. Rich on the rustic character and decidedly simple on the details, the Windlore maximizes the beauty of minimalism. Windlore does more with less for stunning results. Its richly rustic oak grain character is enhanced with a two-tone finish that gives the plank-style aesthetic a highly modern feel. 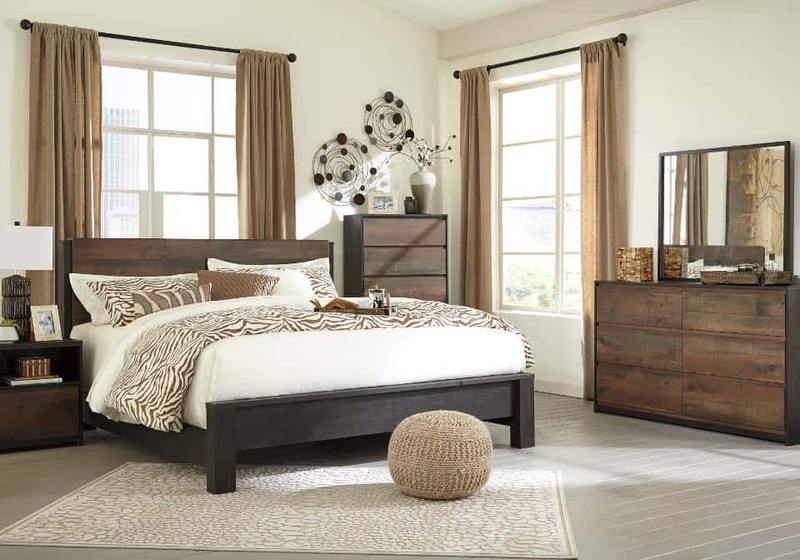 The king panel bedroom set consists of a king panel bed, dresser, mirror, and night stand. Other items pictured in the image are sold separately.